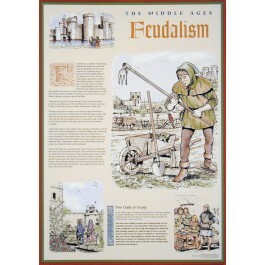 This original poster focuses on one important aspect of the Middle Ages: Feudalism. 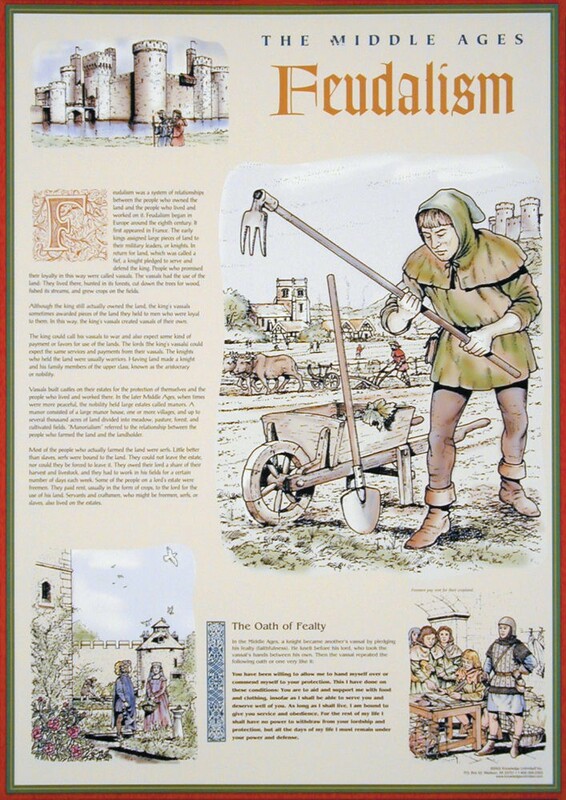 The poster contains striking artwork and explanatory text to teach students how this system functioned in medieval society. It also contains the complete text of "The Oath of Fealty," which vassals pledged to their lords as they knelt on one knee.